Headup Games and 13AM Games have announced Double Cross has been delayed to January 2019 for all platforms including Nintendo Switch. The reason for the delay is because Double Cross has undergone an art overhaul and update in its gameplay. Check out the new trailer and details below. 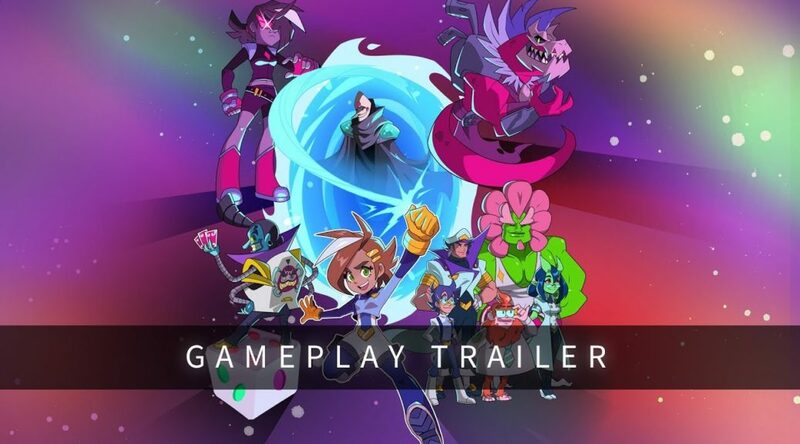 13AM Games has been hard at work bringing to life the thrilling slinging, fighting and platforming gameplay of action adventure game Double Cross, but due to an interdimensional attack Double Cross will now launch in January 2019. Since announcing the game earlier this year, Double Cross has undergone an art overhaul and update in its gameplay in order to provide players with an amazing interdimensional experience. Discover the fireballs, martial arts fighting, massive dinosaur enemies and slinging action in this new trailer! In Double Cross players take on the role of Zahra, an agent of R.I.F.T. whose job it is to maintain peace and order between all dimensions. As Zahra players can collect a rare element called Upgradium to customize their character abilities such as equipping Zahra with permanent fighting moves, stronger attacks and other valuable skills needed to save the multiverse. She’s going to need them because a recent attack on R.I.F.T. headquarters has players gather clues in a robust investigation system to bring themselves one step closer to finding the identity of R.I.F.T.’s attacker while slinging, swinging and fighting their way across distinct dimensions. Throughout the game players will encounter visual novel elements to help them solve the greatest mystery in the multiverse.